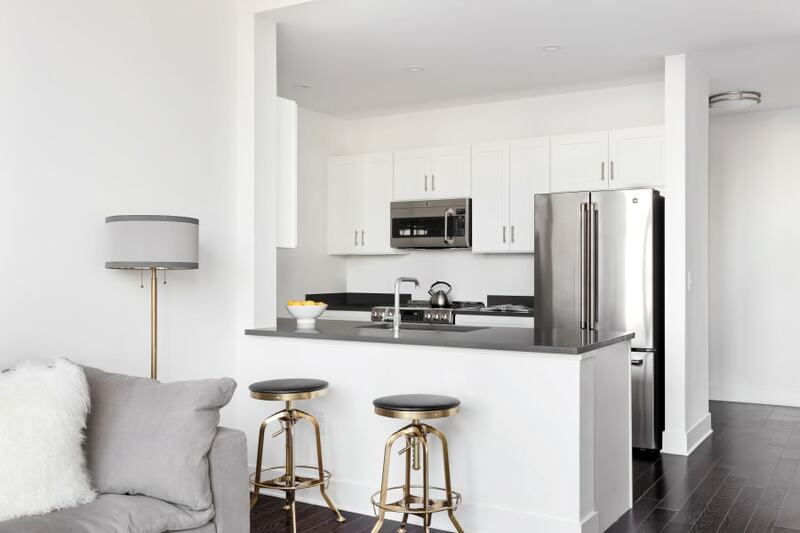 Spacious one and two bedroom apartments offer a luxe lifestyle at 65 Bay Street in Jersey City, NJ. Dazzling details like chic granite countertops and sleek stainless-steel appliances accessorize your gourmet kitchen. Here you can host classy cocktail parties with friends or opt for a Pinterest-inspired meal for one instead. Spacious walk-in closets provide more than enough room for wardrobe updates, including those weekends you treat yourself to a splurge or two at Newport Centre. At the end of an evening, soak in city sunsets from the comfort of your private patio, or start your day strong with a cup of coffee and an inspiring view. Thoughtful extras like hardwood plank flooring, recessed lighting, and high ceilings bring the polished look together, creating a home that you are proud to show off and call your own. Discover all that is 65 Bay Street. Call our professional leasing team to schedule an in-person tour of our luxury one and two bedroom apartments.